South Korean automaker Hyundai Motor and its affiliate Kia Motors are set to launch three low-cost sport utility vehicles (SUVs) in China next year, people privy to the plans told Reuters. The report said that it was the first time that the South Korean automakers will be making cheaper cars to attract Chinese consumers after their attempt to sell older models was weakened by the surge of local brands. 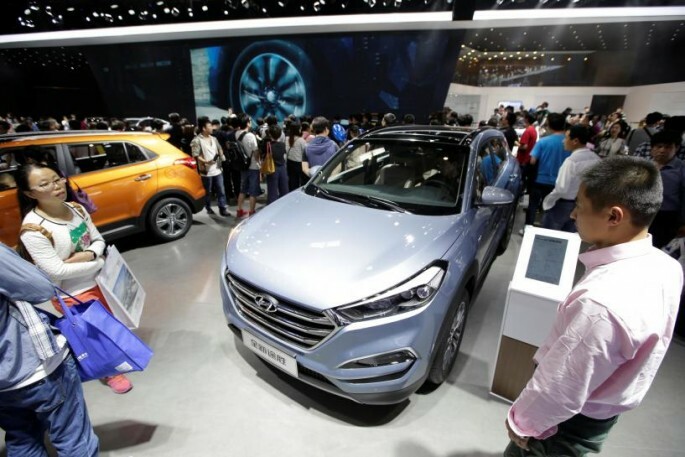 According to company data, the rise of Chinese rivals such as Great Wall Motor has caused the market share of Hyundai and Kia to drop to a seven-year low of 8.9 percent last year, from 10.4 percent in 2014. Data from IHS Automotive showed that it was the biggest drop in annual sales among China's top 10 automakers. Hyundai and Kia rank third among automakers in China, with Volkswagen and General Motors leading the pack. Chinese brands, however, are now taking their share after learning from Hyundai and making sleek, smaller but affordable models. The drop in oil prices has shifted the competition from sedans to SUVs, the report said. Hyundai will start building a compact SUV at its factory in Changzhou in Nov. 2017 and a subcompact SUV at its new Chongqing factory in 2018, while Kia will produce its mid-sized SUV in China next year. Another source also said that the two companies will try to lower their costs by getting Chinese suppliers for cheaper and low-spec parts. They also plan to step up local engineering in a joint research and development center in Yantai. In a statement emailed to Reuters, the two automakers said that they are "internally examining from various sides to develop differentiated SUVs that give customers a more practical value by continuing in our cost-cutting efforts," and plans to "realign its line-up to range from lower-priced models to high-end cars to respond to demands from diverse customer bases." The two automakers, however, were cautioned by some industry experts on making low-end SUVs that could damage their brand reputation in the long-term. Hyundai said that together with KIA, they will increase the production capacity through the planned Chinese plants by nearly 30 percent to 2.7 million vehicles a year in 2018.